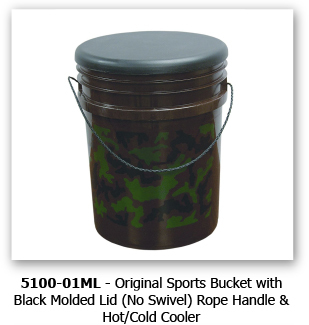 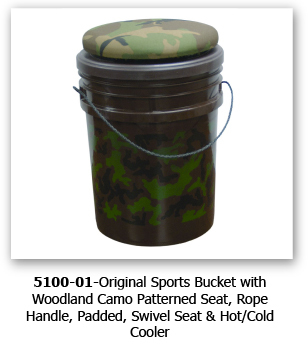 For ultimate storage and convenience the Sports Bucket has no equal. 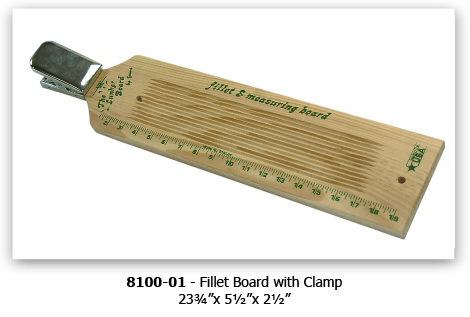 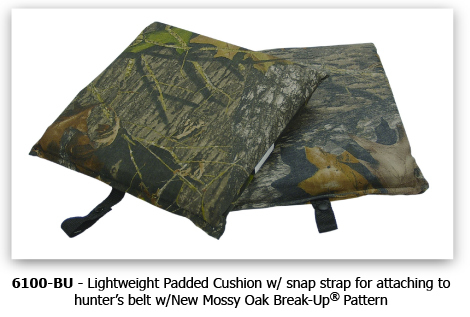 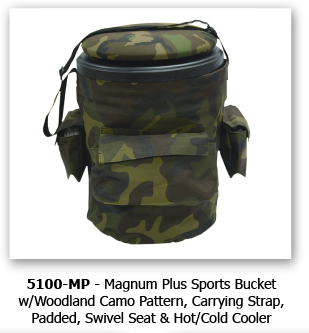 An excellent companion for sporting events, hunting, fishing, picnics or any other outdoor activities. 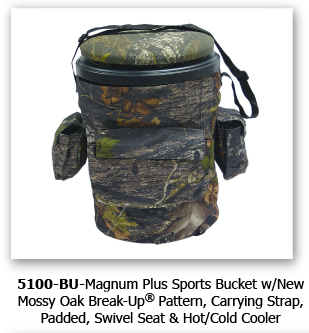 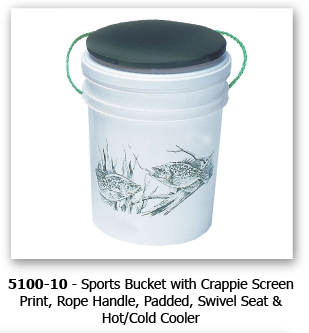 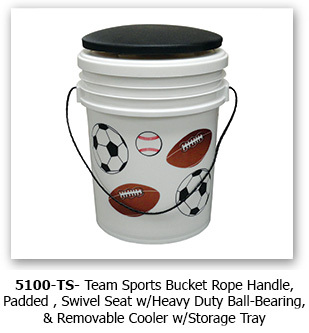 Most buckets feature a hot/cold cooler with storage tray and padded seat with a heavy duty ball-bearing swivel. 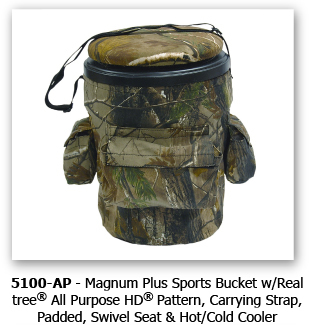 Magnum Plus units also feature a bag unit with double-stitch seams and velcro closure pockets for storage.